Flat packed flowers wrapped in cellophane suitable for a funeral tribute. 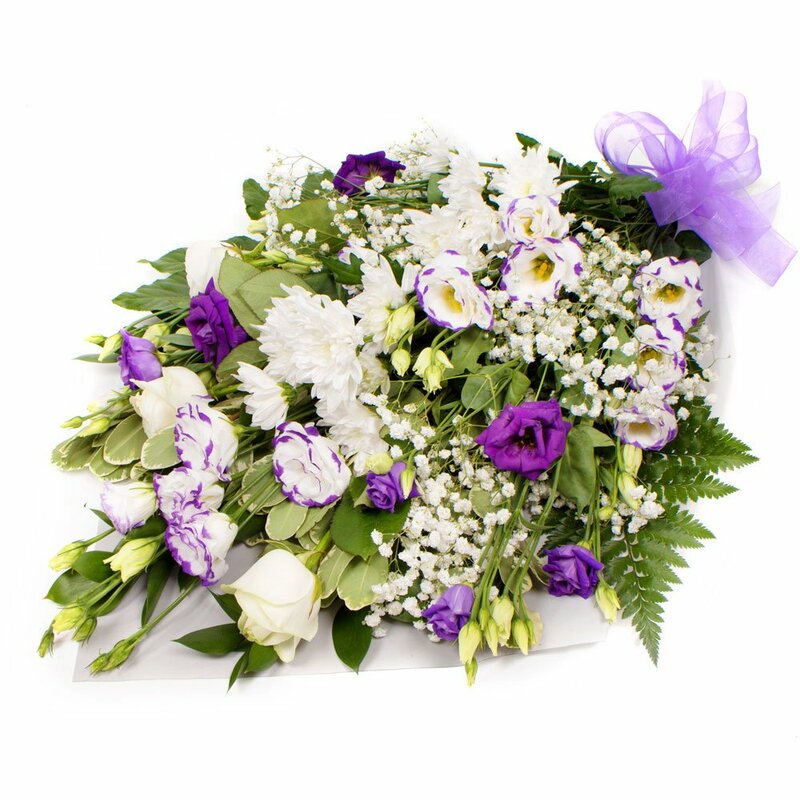 Flower varieties include roses, gypsophila , chrysanths, lisianthus and foliage to suit. Flowerscene deliver in Aberdeen and surrounding areas. If preferred this item may be collected from our shop.